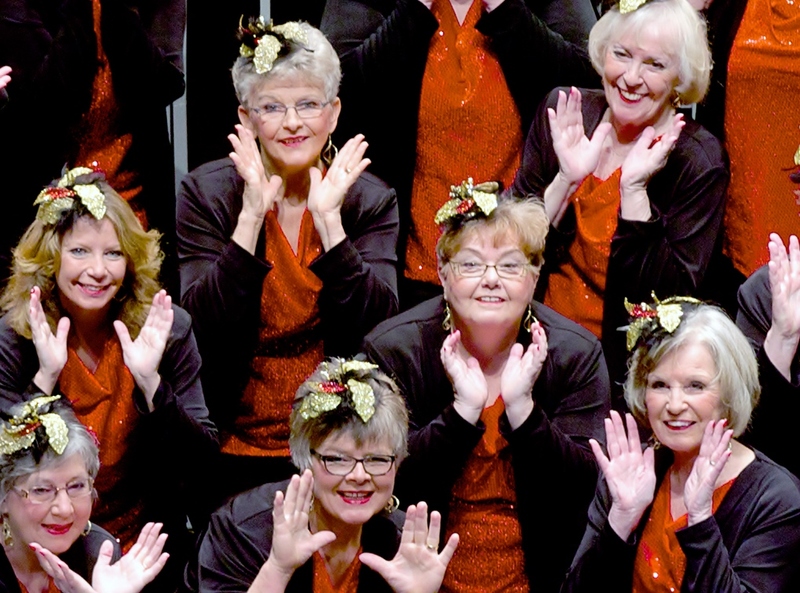 Festival Sounds Chorus is a membership organization of female singers, a chapter of Sweet Adelines International, who meet regularly to practice, perform, socialize, and have fun. The chorus averages about 25 singers of all ages, all walks of life, and all parts of Perth, Oxford, Middlesex, Elgin and Huron Counties. Join the fun, the music, the friendship at a Festival Sounds Chorus rehearsal any Wednesday evening, 6:30 p.m. to 9:30 p.m. at St. Paul's Anglican Church, 9 Douro St., Stratford. Women of all ages who enjoy singing are invited to come share an evening of harmony with us. We are also a proud member of Stratford Community Music.